The robust and indestructible Syn 233 is an ideal bag to confront many of natures diverse climatic conditions found in rain forests, on river banks, wet lawns or even snow. Texped PA 36, An extremely lightweight, durable and silky smooth ripstop nylon, is used as shell fabric. DWR treated for moisture repellency. it is highly breathable and drapes perfectly around the body eliminating cold spots. The lining fabric is Texped PR46 microfibre (polyester ripstop), renowned for its soft texture which instantly feels warm to the touch in the cold. The insulating fill is one layer of Texpedloft 133, a soft microfibre polyester offers excellent properties and one layer of texpedLoft 100. (R-Value 5.09/233g) A combination of hollow and structured fibres moves moisture out of the bag improving comfort and keeping you warm and dry. 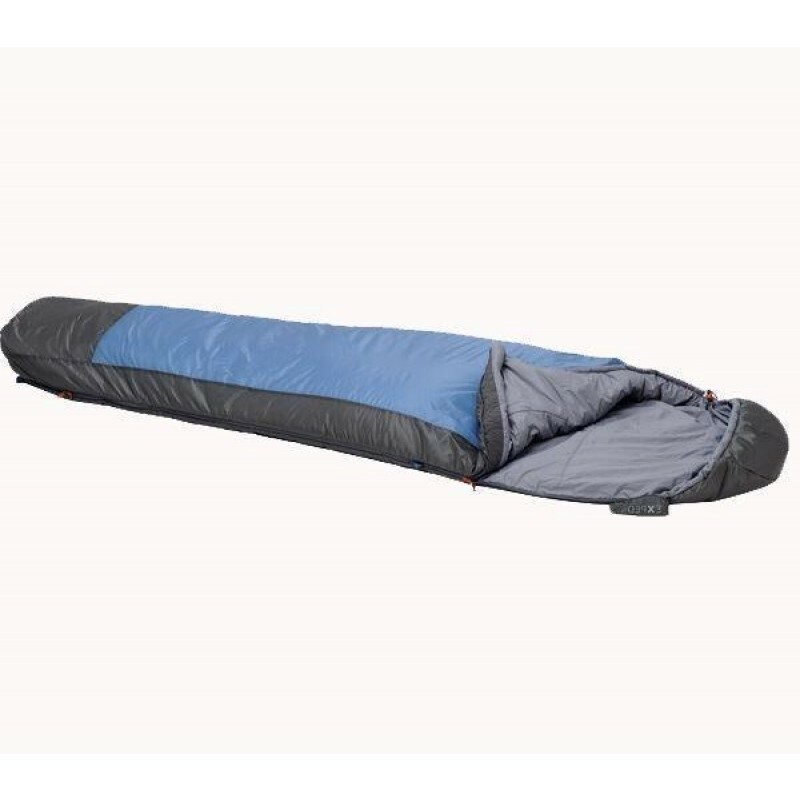 Use Comfort Syn as a stand alone sleeping bag or as a comforter. It is also the ideal bag to confront many of nature's diverse climatic conditions found in rain forest. on river banks, wet lawns or even snow. It is almost rainproof. Even with a soaking, both fabric and fill will dry quickly, as TexpedLoft does not retain moisture. Easy handeling: draw cords of different colour and shape are easy to identify. locking zippers with reflective and glow-in-the-dark pulls will not open accidentally and counter loops improve handling.pad loops at waist level enable attachment of a strap to prevent sliding of the mat on inclined terrain. A large internal pocket holds personal items.a wrap around zipper at the front end facilitates venting on warm nights. The included stuffsack is a waterproof compression drybag. 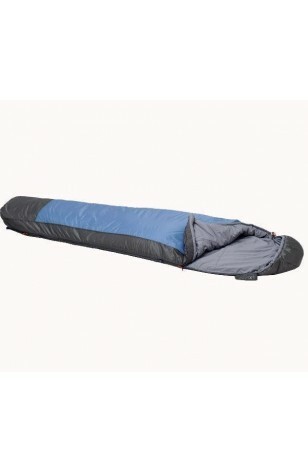 Start by stuffing the sleeping bag by its foot end into the sack. Then flip over the roll top closure once and press out air by kneeling on the bag. Then roll down the closure as many times as you can, before closing the buckle. The dry bag is now vacuum packed and can be shaped anyway to fit your backpack. The included mesh storage sack doubles as bug net - pulled over your head or as a laundry bag. Exped offers a limited 5 year warranty against defects in materials and workmanship. *Upper Limit — the temperature at which a standard male can sleep without excessive perspiration. It is established with the hood and zippers open and with the arms outside of the bag.